*Limit 1 per household. Refund up to $15. Please allow 6-8 weeks for processing. Only street addresses will be accepted- Sorry, we cannot mail to Post Office Boxes. RAYOVAC® is not liable for any and all incidental, special or consequential damages including lost profits and claims from third parties are excluded from this warranty. Some states do not allow the exclusion or limitation of incidental or consequential damages, so the above limitation or exclusion may not apply to you. This warranty gives you specific rights and you may also have other rights which vary from state to state. 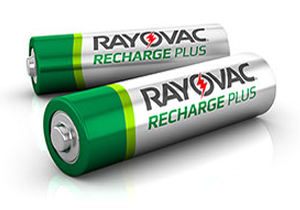 Every single RAYOVAC® Alkaline Battery is designed to prevent damaging leaks and tested twice prior to shipment. That’s why your devices are protected by our Leak-Proof Guarantee. In the unlikely event of alkaline battery leakage, any battery operated device that is damaged by RAYOVAC® Alkaline Batteries will be repaired, replaced or refunded, at our option, as long as the batteries have not expired or been mixed by expiry date and/or battery type. Simply follow the instructions below to submit a claim. For Tips and Tricks on the proper use of batteries, visit our Battery Care page here. If you have a receipt of purchase for this item, we ask that you send this as well. In the event that the item cannot be repaired, this will help us establish the value of the item. If not, we will perform market research to determine the current value of your device. Please separate the battery from the device and place in a plastic bag for shipping purposes if you feel safe doing so. Shipping of alkaline batteries is permitted by both the US postal service as well as private carriers such as FEDEX or UPS. We ask, as do the carriers, that any leaking batteries be contained in a plastic bag or bags in order to prevent the fluid from seeping through the packaging. If the repair or replacement is covered under our Leak-Proof Guarantee, you will receive no additional correspondence. Your repaired unit, refund, or a comparable replacement of equal value and function will be shipped to you within 2-3 weeks. Additional delay may be unavoidable on occasion if a replacement item is temporarily out of stock. 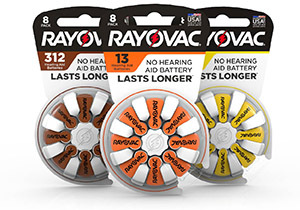 ** MONEY BACK GUARANTEE: CONTACT 1-800-891-6091 WWW.RAYOVAC.COM/MBG FOR MORE DETAILS. RESTRICTIONS APPLY. 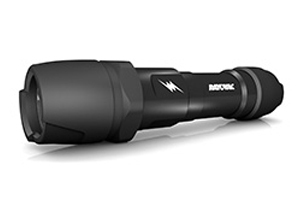 Lifetime Warranty: We will replace or refund, at our option, selected RAYOVAC® brand flashlight as indicated on the specific retail packaging. No packaging and/or receipt required. Return defective product to RAYOVAC® (Sorry, C.O.D.’s not accepted). Warranty excludes damage caused by battery leakage, accidents, and misuse. 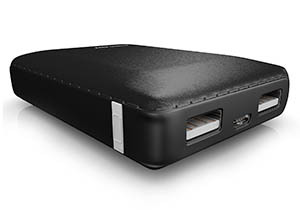 All Portable Charger Products have a One-Year Limited Warranty to the original purchaser from the date of the purchase, when used as directed, in accordance with the operating instructions and the system environment. The One-Year Limited Warranty covers manufacturer defects. It excludes damage caused by accident, normal wear and tear, misuse, and/or modification of a Portable Charger Product. THERE ARE NO OTHER EXPRESS WARRANTIES. Rayovac is not liable for damages to your MP3 player, cell phone, or other devices arising from the use of this Portable Power Product. Please consult your device manual to ensure compatibility before use. 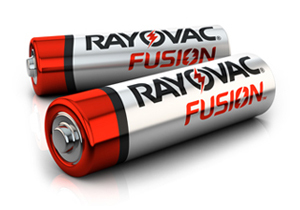 As long as the batteries have not expired, we will replace, repair or refund, at our option, any device damaged by our Rayovac Batteries. 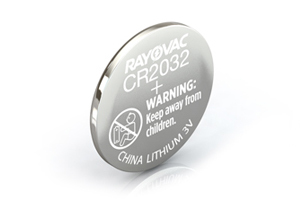 If you believe a RAYOVAC® Photo Lithium battery damaged your device please contact 1-800-891-6091 for warranty information.